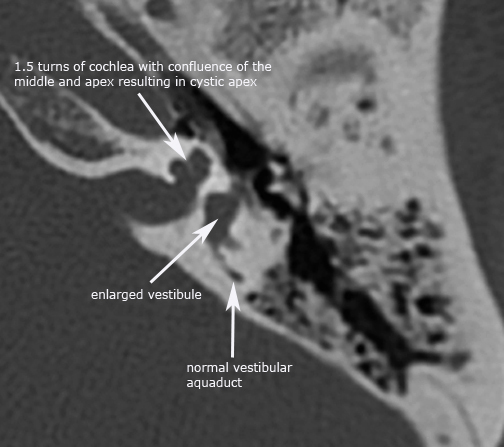 Congenital hearing deficits can be non-genetic or genetic in etiology. 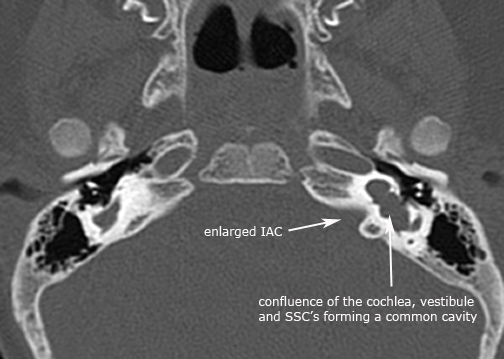 Genetic causes may occur in isolation or be associated with various syndromes, such as CHARGE, Klippel-Feil, Down's (trisomy 21), Goldenhar and Crouzons syndrome to name just a few. 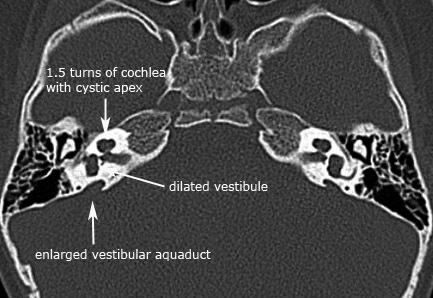 The embryologic development of the ear is a multi-stage and anatomically complex process involving initally the primitive otocyst. 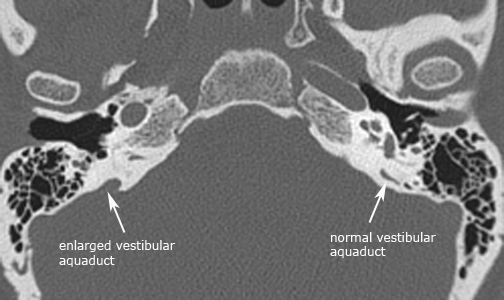 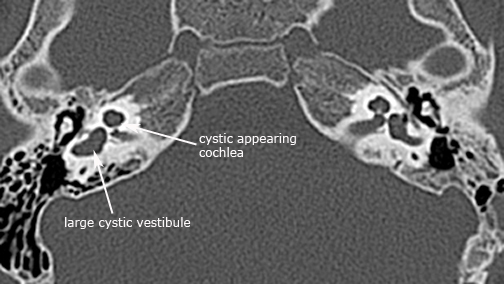 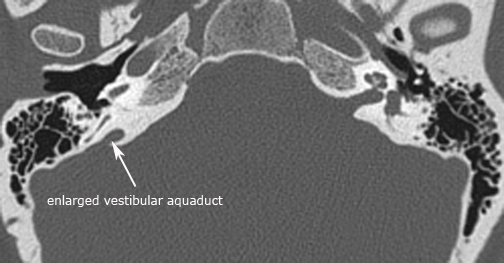 Later in development there is differentiation of the otocyst into the otic placode, otic vesicle, otic capsule, first branchial groove, first pharyngeal pouch, and the first and second branchial arches all of which contribute individually and at different developmental time frames to make up the external ear, middle ear and inner ear structures. 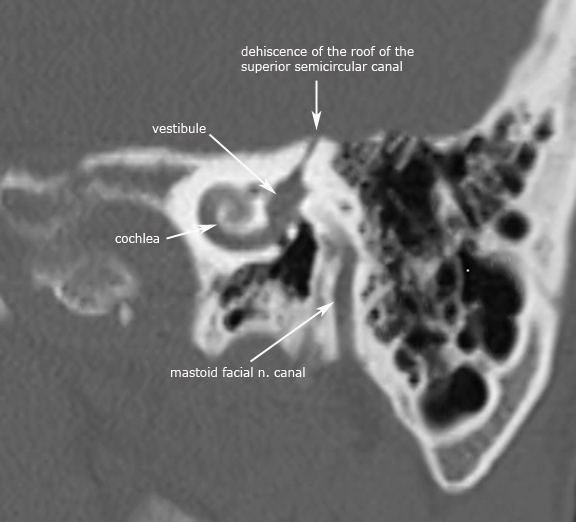 Developmental malformations that affect the otic capsule result in anomalies of both the membranous and bony labyrinth. 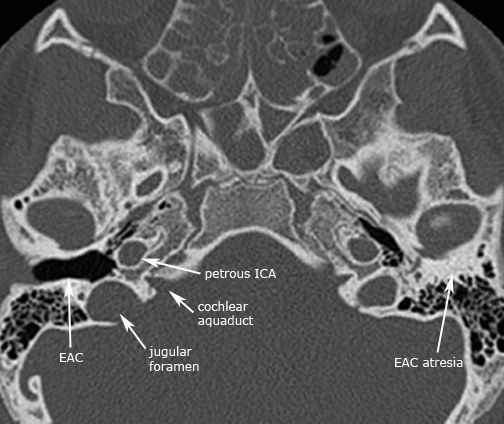 The specific timing of the insult during otic capsule development determines the resultant type along a spectrum of congenital inner ear malformations. 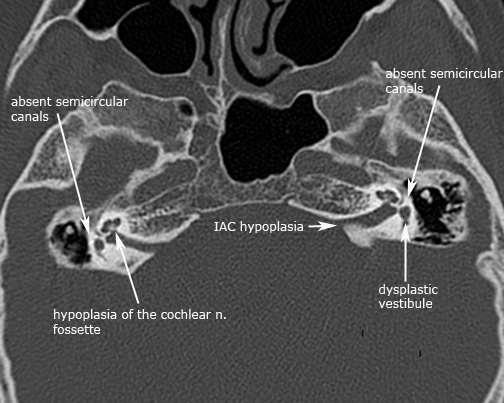 In descending order of severity and later developmental time course they are Michel's aplasia, cochlear aplasia, common cavity, Incomplete partition-I (cystic cochleovestibular malformation), cochleovestibular hypoplasia and Incomplete partition-II (classic Mondini's malformation). 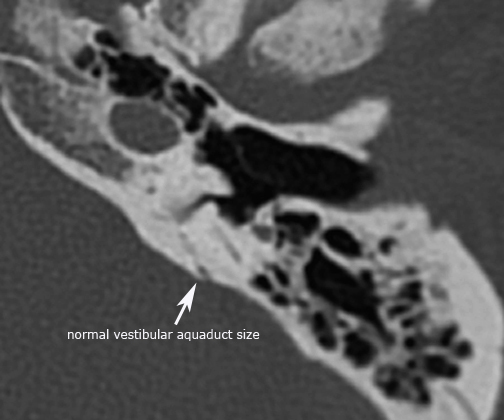 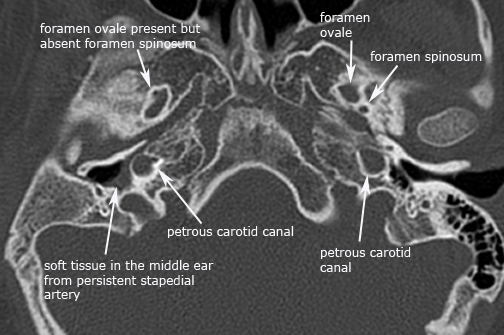 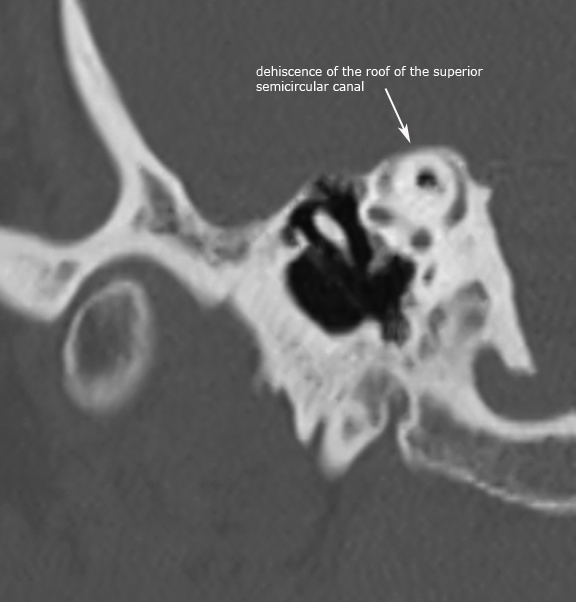 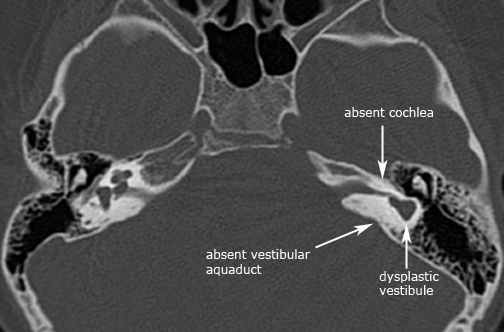 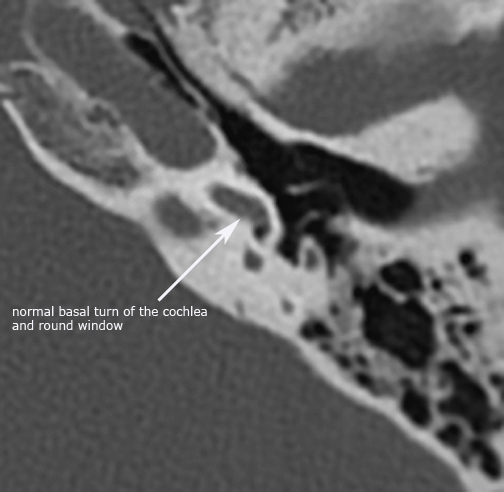 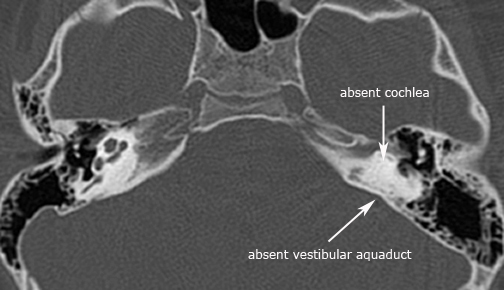 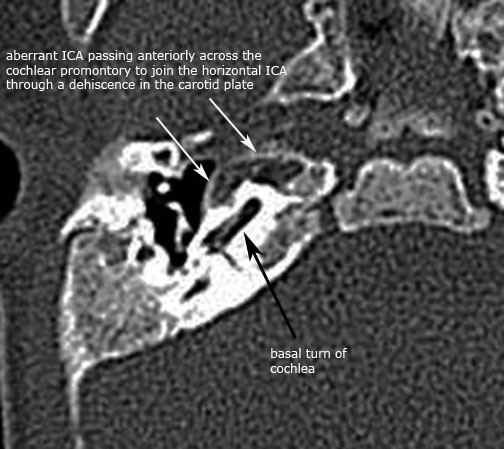 The following congenital cases are not meant to be a comprehensive overview of congenital ear malformations, but rather a brief overview of some of the more common entities covering the external ear, middle and inner ear and a few vascular anomalies.